If we usually do not like motorcycles specifically designed for the Indian market, then this time it seems we will make an exception. Yep, a motor has just been introduced by the Honda India, and this motor takes the form of a motor naked with the name Honda X-Blade 160. Yep, if we see the number 160, then that number is actually no stranger to the fans of motorcycles in Indonesia, let alone the Honda brand because the mass engine 160cc also been used by Honda Megapro before finally now shrink to 150cc. Well, more interestingly, Honda X-Blade 160 itself has a tag that is quite affordable. In India there, the motor is naked with some tapering of this tapered line is sold with the estimated price in number 18 millions only, waw. 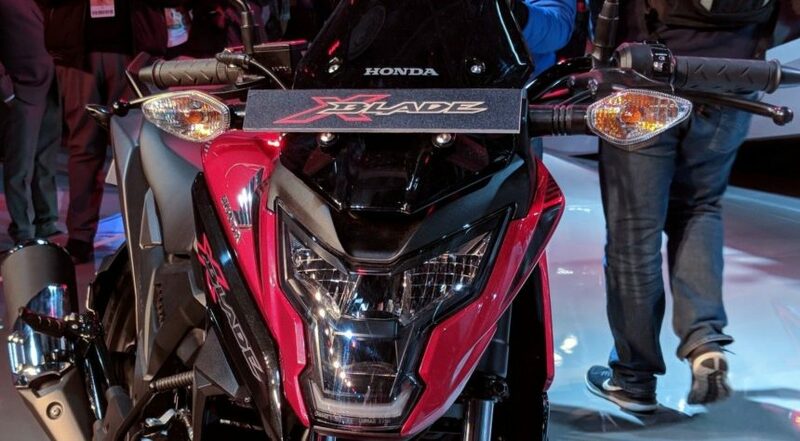 Honda X-Blade 160 itself will be positioned as a rival of Suzuki Gixxer 150 and also Bajaj Pulsar 160 NS. 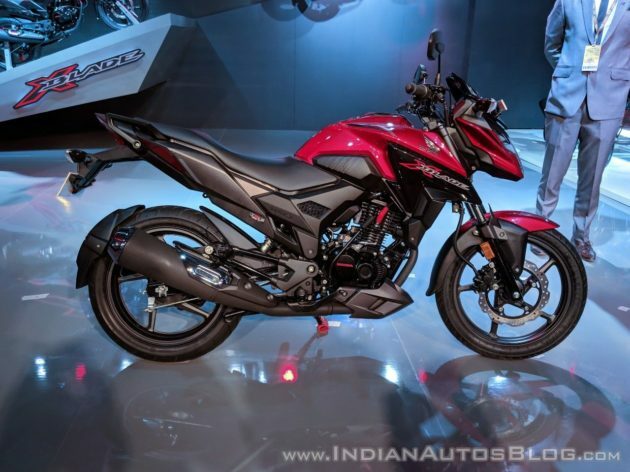 Motor based on the Honda CB Hornet 160R itself has an aggressive design, and interesting. 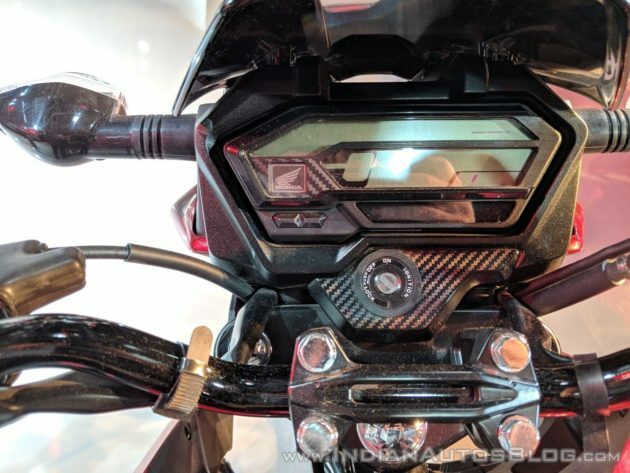 Headlights shaped tapered, which reminds us of the Honda CB 650 F. In addition to cool, headlights from the Honda X-Blade 160 is also already using LED technology, even so with the rear lights that once again also looks cute in shape, on the shape of the Yamaha R25 lamp. It's just that, Honda X-Blade 160 still has the impression of a 'cheap' motor with the use of light bulb sein, but if using a light sein like Honda CB150SF definitely more cool. Speedometer of Honda X-Blade 160 itself seems common parts with Honda CBR150R in the homeland, which is good news. However, for keyhole still seems old model that does not use magnetic shutter. 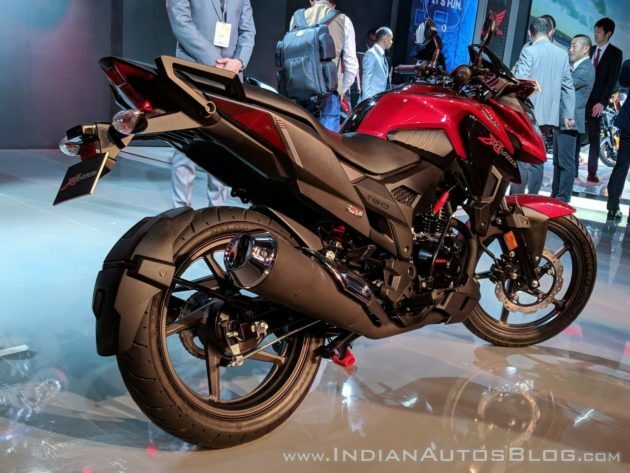 The shape of the tank itself is pretty cool with sharp shroud and muscular undercrowl, and all of a sudden we see that the figure of the Honda X-Blade 160 reminds us of Yamaha V-Ixion Advance, ah maybe just our thoughts alone. One part that is rather annoying even in the form of the exhaust that is less contemporary with a long tube shape. The Honda X-Blade 160 itself uses a 162cc SOHC air-cooled engine that powered 13.6 hp and 13.9 Nm of torque. For the tire's own legs with 110/80 profile pinned on the front side and profile 130/70 on the back side. Certainly Honda X-Blade 160 to be one alternative cheap naked motorcycles in India there, if if this bike into Indonesia how ya? Which one is good Honda Versa 150? Come to your opinion buddy. 0 Response to "Honda X-Blade 160: The Successor of Indian Version of Megapro"